the brightly optimistic heart of Stratford’s uneven but partly adorable oldschool comedy. I was highly skeptical of The Matchmaker, knowing that it would be even more dated than Hello Dolly! already is (it being Hello Dolly!‘s source material and all). It’s not going to be a huge money-maker, it’s not a particularly genius text, it’s not contemporarily meaningful and the only connection it has to a Shakespeare festival is that its debut was directed by Stratford’s founding Artistic Director. 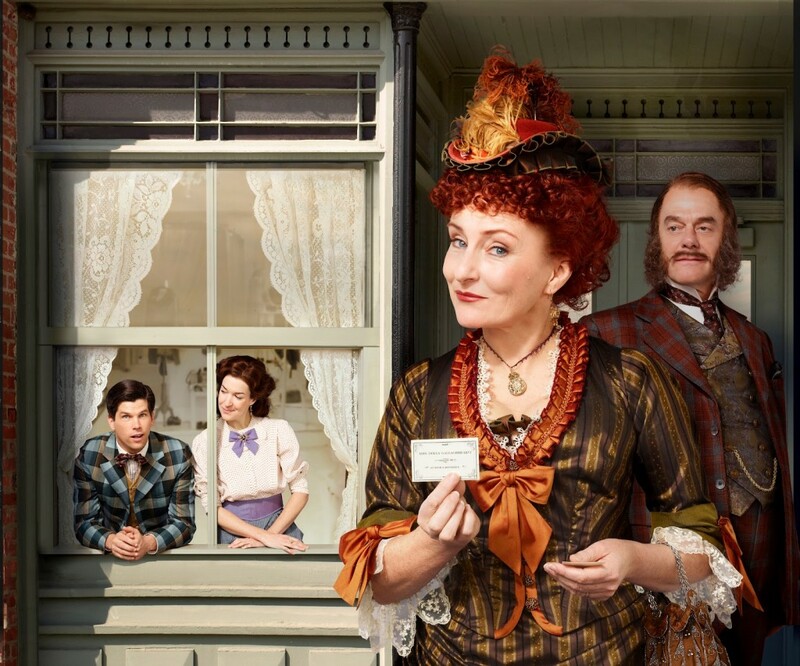 The Matchmaker doesn’t really have a place at The Stratford Shakespeare Festival and director Chris Abraham, though adept with physical staging, hasn’t really interpreted the text to make it feel more meaningful (though that might have been an impossible task). Still, despite the randomness of this production’s existence at the festival, The Matchmaker makes for a halfway lovely evening of entertainment. I say “halfway lovely” instead of “somewhat lovely” or even “pretty lovely” because it is exactly half wonderful, and half terribly dull. The casting is across the board superb but the shock of the evening is that it’s only when North America’s most respected stage actors leave the stage that the play picks up pace and comedy. Seana McKenna and Tom McCamus command the stage well and do eek a few great comic moments out of their stiff characters (McKenna, in particular, is great with an unexpected tone or clever head tilt that severely alters one of Thornton Wilder’s lines for the better). But the self-important cavorting of McKenna’s manipulative Dolly (ie: the titular troublemaker) and McCamus’ immovable (insert noun here: he’s not so much a bigot as a butthead- can I use the word butthead?) Horace Vandergelder is altogether tiresome. The girlish prancing of Horace’s niece Ermengarde (Cara Ricketts doing that thing that I hate), the sloppy comedy of apprentice Malachi Stack (Geraint Wyn Davies, half-assing it and falling back on that damn accent again) and the insanity/uselessness of Miss Flora Van Huysen (Nora McLellan, doing her campy best with a dumb part) are all enough to make me hate The Matchmaker. There’s a subplot! And that subplot is so big that you could maybe argue it’s really the main plot. And that sub/main plot is really great. Putting the actual matchmaker aside, The Matchmaker tells a sweet and silly story of mistaken identity, courageous courtships and the spirit of adventure. Mr. Vandergelder’s chief clerk Cornelius Hackle wants to explore and have adventures and not be stuck getting the same promotion over and over again in Yonkers, so he talks his friend Barnaby (a younger, more nervous Vandergelder employee) into ditching work for a one-day New York City adventure. There he meets Irene Molloy, finds her to be the greatest person he’s ever met in the whole world, and hijnks ensue. In less capable hands, said lovable story could be cutesy and sacharine, but this production cast Mike Shara and Laura Condlln and it’s near impossible to go wrong with those two. Shara is particularly great at big-hearted and slightly befuddled, which Cornelius most certainly is (see also Christian in Cyrano and Young Shepherd in A Winter’s Tale). Condlln, meanwhile, thrives with bright, witty and independent ladies (Antoni, hear my plea for Condlln in 2013- Portia!). They both do other things beautifully too, but The Matchmaker cast Shara and Condlln where they’re most likely to be perfection. And they are. Meanwhile, Barnaby is played by the adorable Josh Epstein in his first major role at the festival. His Barnaby is nothing short of winning and I can’t wait to see more of him as the higher-ups start to take notice. The other highlight is Andrea Runge who is an absolute delight as Irene’s assistant Minnie. Saddled with bizarrely small roles this year, Runge makes Minnie a standout as only a leading actor playing an assistant can. I know Dolly’s supposed to be the star, and has been since the 1955 rewrite that made it “her story”, but even if she is played by the legendary Seana McKenna, I don’t know how the audience is supposed to care mostly about her with the Shara-Condlln-Epstein-Runge dreamteam making magic in the subplot. 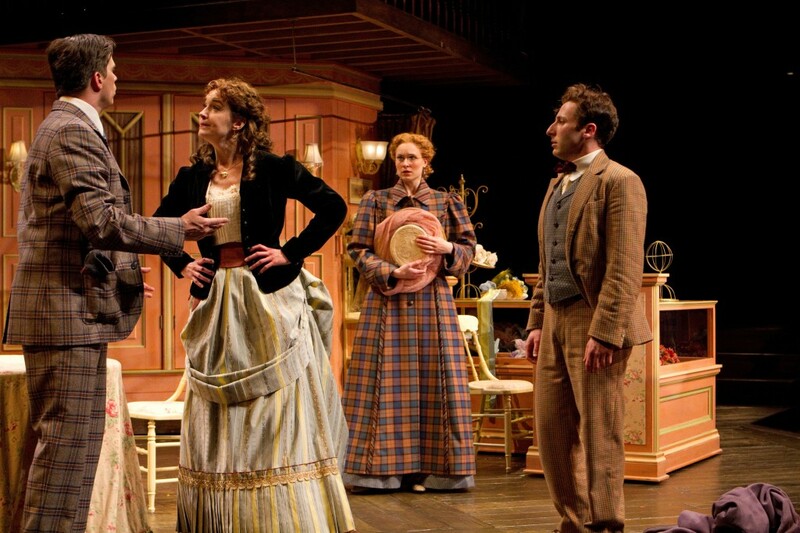 The Matchmaker is playing at The Festival Theatre in Stratford, Ontario until October 27, 2012. Interesting take. Couldn’t disagree more – it’s like we saw different plays. The text is a reflection on business, a reflection on work/life balance, a reflection on loneliness, companionship, matchmaking in its various forms and the pressure to be with someone, adventure, pennilessness, growing older. It’s timeless. It’s not Our Town, but it is Thornton Wilder, and it is detailed and sharply observed portrayal of our humanity – then and now. You’re right that the cast is brilliant, and the 4 you’ve singled out are really wonderful. But I think you’d find that Dolly is the character that resonates with much of the rest of the audience, you excepted.